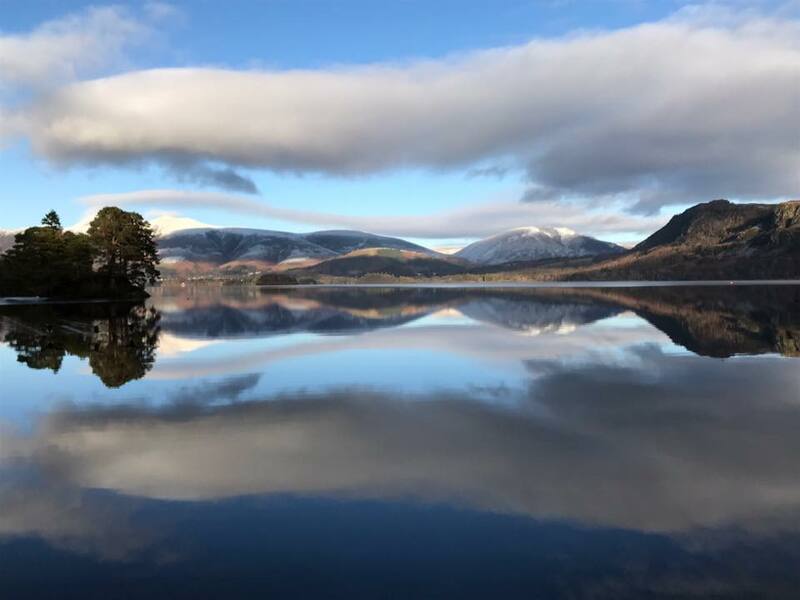 The photo above was taken recently by one of our guests – a stunning view of Keswick and Derwentwater on a calm winter’s day. Winter time is a perfect time to visit keswick, with its stunning views and quieter paths for walkers. If the weather is wet, then our properties are all a short walk away from a welcoming cafe or a cosy pub and hearty meal. February and March also have a couple of cultural surprises for visitors. The 2019 Keswick Film Festival takes place between 28th February and 3rd March. You can view the programme here – it offers an eclectic mix of documentaries and other films and interesting speakers. We have availability over the weekend at several properties, including 9 Greta Grove House where a 4 night stay from February 28th is £350. March 8th to 17th is the annual Words By The Water Festival based around the Theatre by The Lake. This year’s festival includes: Prue Leith, Alan Johnson, Anna Pasternak, Louis de Bernières, John Simpson, Chris Bonnington and our festival president Melvyn Bragg. Comedy is on the menu with events from Guardian satirist John Crace, comedian and mad-cap explorer Tim FitzHigham as well as the irreverent poet, Roger McGough, offering both hilarious and thought-provoking readings. The Studio offers a range of events based around theme days. Christopher Skaife the Ravenmaster from the Tower of London, Jonny Benjamin who was saved from taking his own life by a stranger, Mike Berners-Lee on combatting climate change and politician Rachel Reeves unpicks the role of women in British politics. There are over 100 events at this year’s festival. Whether it is history, philosophy, politics or comedy Words by the Water has something for everyone, you can explore the details here. On the subject of events in keswick, the local Tourist Association have produced this fun video of everything that goes on in the town throughout the year – its well worth a watch.